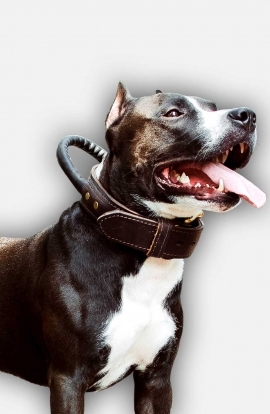 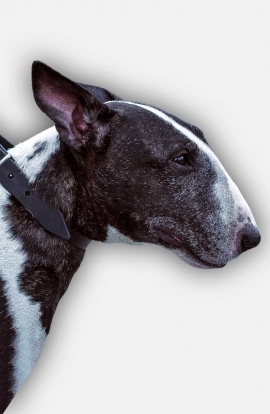 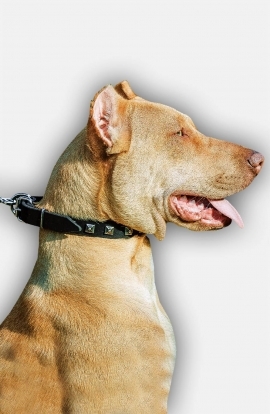 The unique feature of this Collar is the special handle, which will give you more control over your Amstaff. 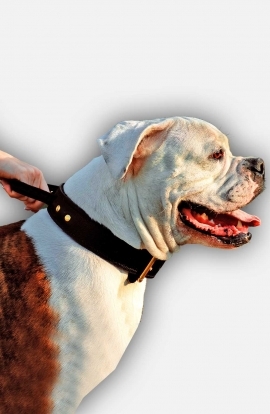 You will see how it is easy to control your four-legged friend due to this handle. 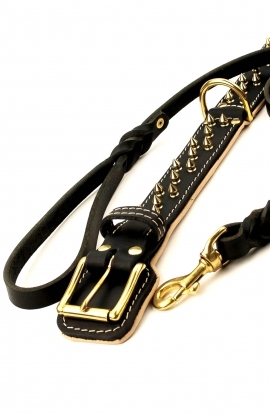 Just grab it and hold your pet by your side.. 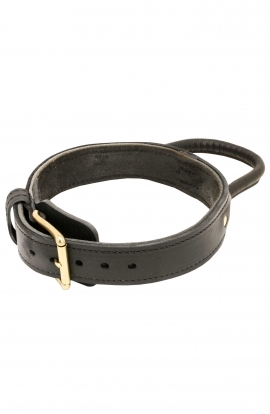 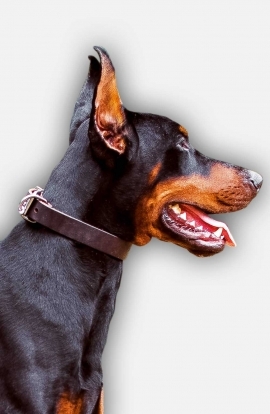 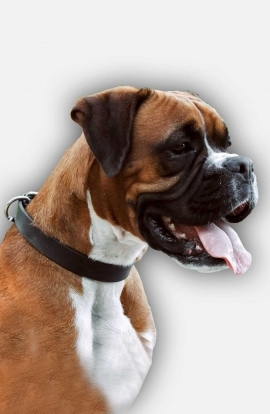 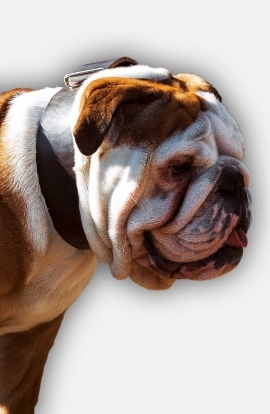 The Classic Design Leather Boxer Collar is one of the best accessories for your pet. 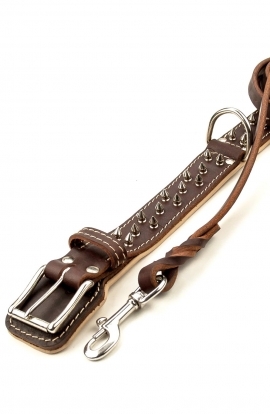 Plain design, selected materials and exceptional craftsmanship make this collar stand out in the wide range of pet accessories. 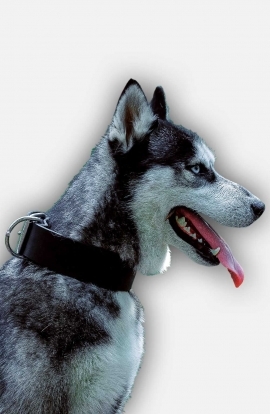 Order it right now, show your pet how much you love and care about him! 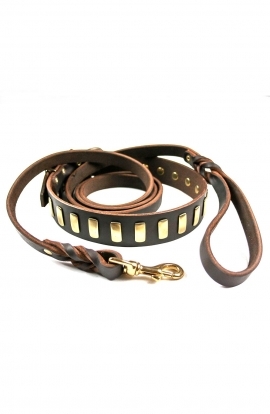 This Collar has minimalistic design - only a piece of high quality genuine leather and nickel plated buckle to keep it on your dog. 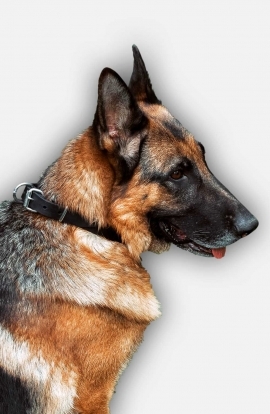 The Collar looks very beautiful on German Shepherd's fur. 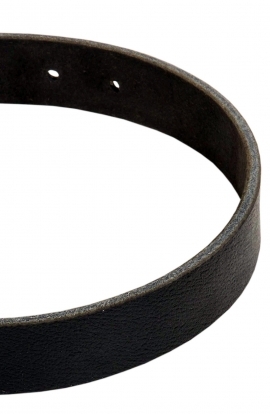 It is strong and reliable. 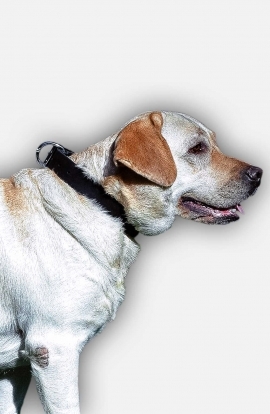 This Collar is for walking or using at home or kennel. 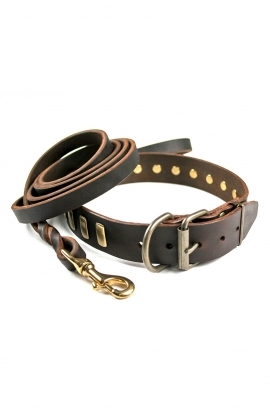 With this Collar you get high quality and a nice leather product. 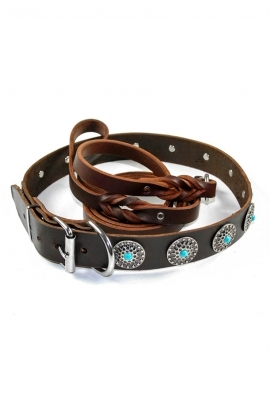 This collar is available in three colors - black, brown and tan. 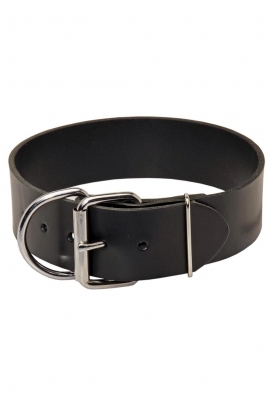 Sizes available: from 16 inch to 40 inch. 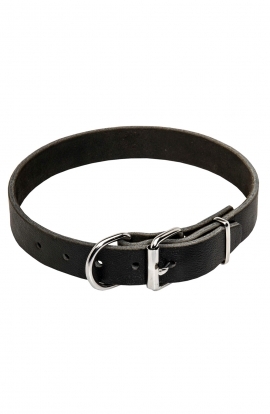 Authentic leather with rich and soft texture is gentle to your pet’s fur and skin. 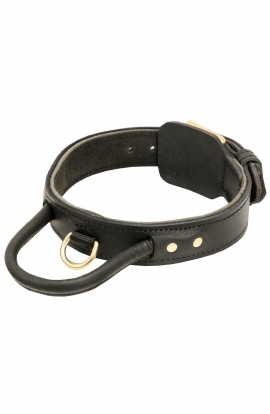 Thanks to duly treated edges and no machine stitches your dog will be provided with comfort when wearing the collar. 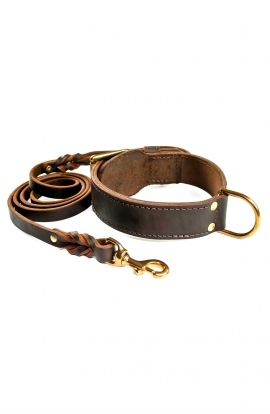 Get our New Designer Leather Mastiff Collar. 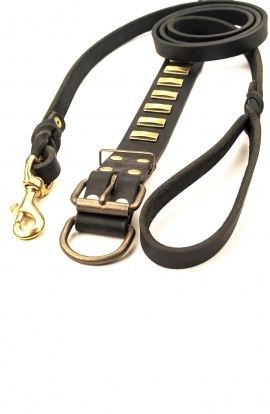 Nickel studs placed in one row make it more attractive. 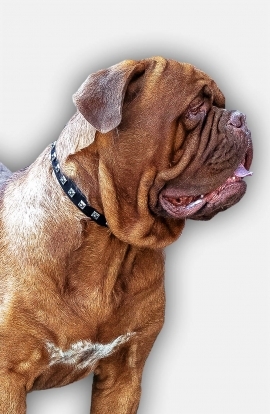 Wide range of dog production is made specially for Mastiff. 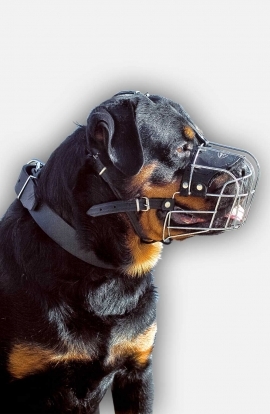 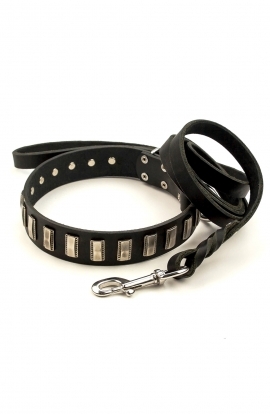 Absolutely Stunning Dog Accessory is offered on popular online boutique for Pitbull! 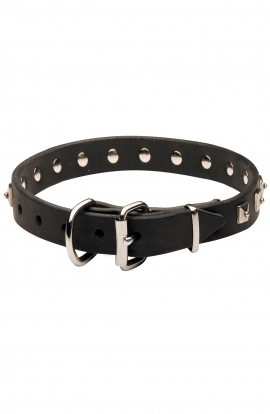 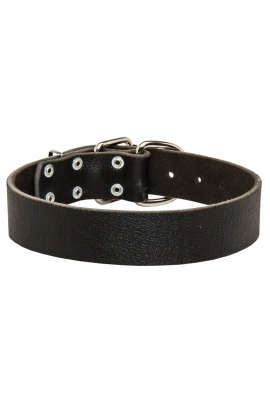 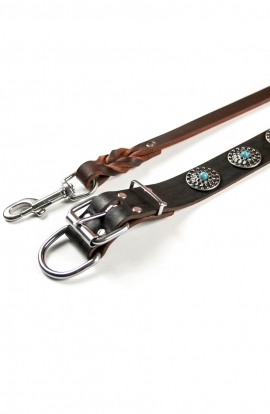 Please, turn your attention to Handcrafted Leather Dog Collar with a Row of Gorgeous Studs. 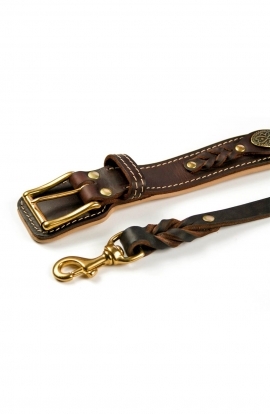 You can't imagine how gorgeous your pet will be if wearing this handcrafted creation!